Overlooking the Ngorongoro forest, The Retreat at Ngorongoro is an ideal location for those wishing to visit Lake Manyara National Park, Ngorongoro Crater or Lake Eyasi. It is also a superb destination for those wishing to simply relax and enjoy nature. 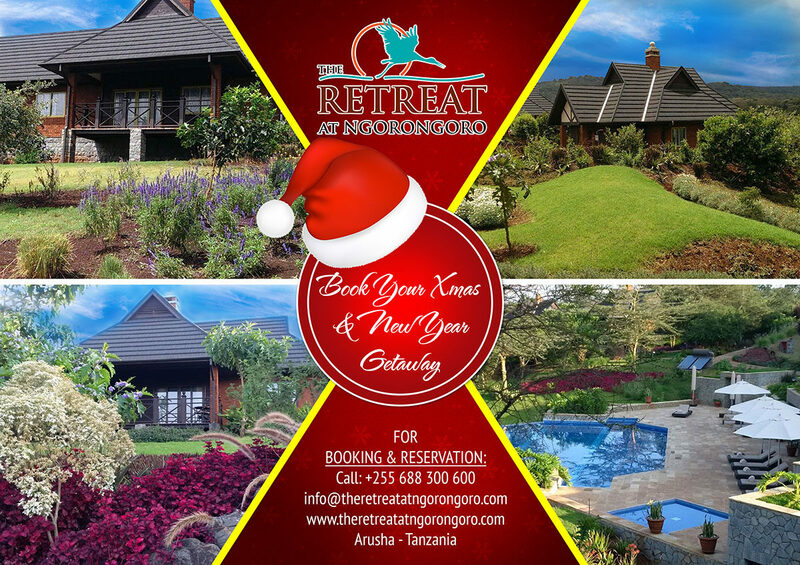 With only twenty-seven (27) cottages, The Retreat at Ngorongoro offers visitors space and tranquility with its meticulously landscaped gardens and themed public spaces. We welcome you to experience the best of both worlds – luxury and wilderness all in one.